As distracted driving has become ever more pervasive and dangerous on our roads today, lawyers are looking harder at terrible car and truck accidents to determine what role texting or driving distracted may have played in causing the collision. This is clearly reflected in attorney Kevin Seiferheld’s recent $1 million distracted driving settlement. Yet police have been slow to investigate whether distracted driving played a role in the auto accidents they investigate. Unless there was a fatality, it has been almost unheard of for a police officer to investigate whether someone was driving distracted. This is slowly starting to change. The Michigan State Police has revamped its UD-10 “Traffic Crash Report” to gather more information about the driver distractions in the event of an automobile accident. And nearly every (good) personal injury lawyer in Michigan is investigating cell phone records in auto accident lawsuits when a serious injury occurs. Societal views are slowly evolving, much like they did decades ago over drinking and driving. Our traffic laws against distracted driving are slowly getting tougher and lawsuit investigation by auto accident attorneys is also changing. Our attorneys have now litigated several collisions involving distracted driving and texting. Today I’d like to use a recent, confidential case of one of our top trial attorneys, Kevin Seiferheld, as an example. Kevin recently secured a $1 million settlement on behalf of his clients, a young couple who were hit head-on by a distracted, teenage driver. This driver was found to be using her cell phone when she lost control of her car, crossed the median and crashed into his clients, causing a broken foot, a mild traumatic brain injury, a spinal fracture and some internal rib injuries. The crash occurred in the Ann Arbor area. The defense lawyers first claimed the defendant “swerved to avoid debris in the road,” but over-corrected and lost control of her car. Kevin proved there was no debris or sudden emergency. Instead, Kevin showed how the defendant had taken a call on her cell phone just moments before the crash. In her deposition, the defendant stated the call had ended just before the car accident. Another layer to this case is that Kevin’s clients are Canadian citizens. Kevin was able to help with the interplay between Canadian and Michigan law, as well as helping his clients get appropriate medical treatment under the extremely conservative Canadian health care system. Cases involving Canadian drivers who are in Michigan car accidents are more complex. And our attorneys have spoken at legal seminars educating other Michigan attorneys on how to litigate these cases. Windsor is just a short tunnel from Detroit, so this issue arises quite often for us. 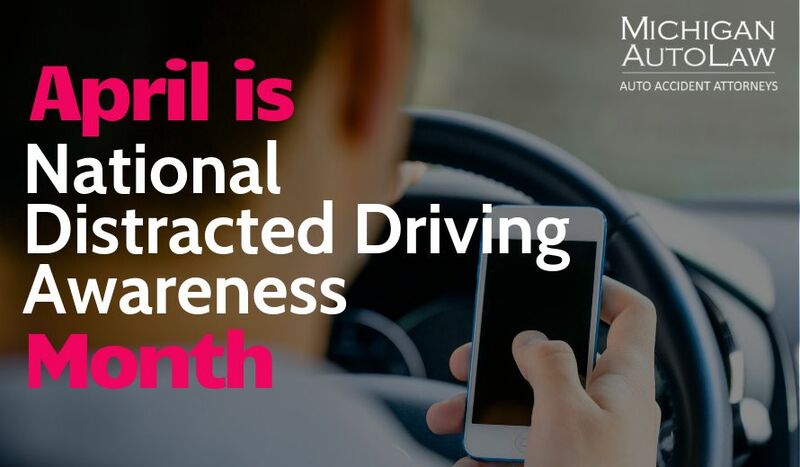 Studies show that one quarter of fatal crashes involve cell phones and that texting drivers are 23 times more at risk of a crash.